Today is our son's 3rd birthday. I keep reading that sentence. Our son's birthday. 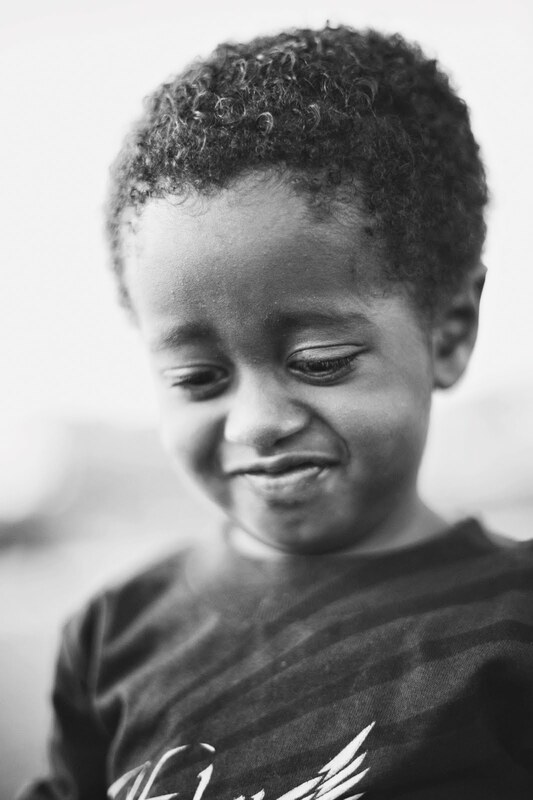 Judah Abebayehu is a miracle beyond miracles in our life. And I cannot believe that we have a 3 year old son. 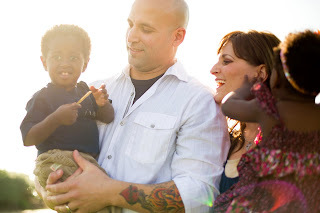 We were first introduced to Judah on August 16th, 2010 [you can read that entire post HERE]. 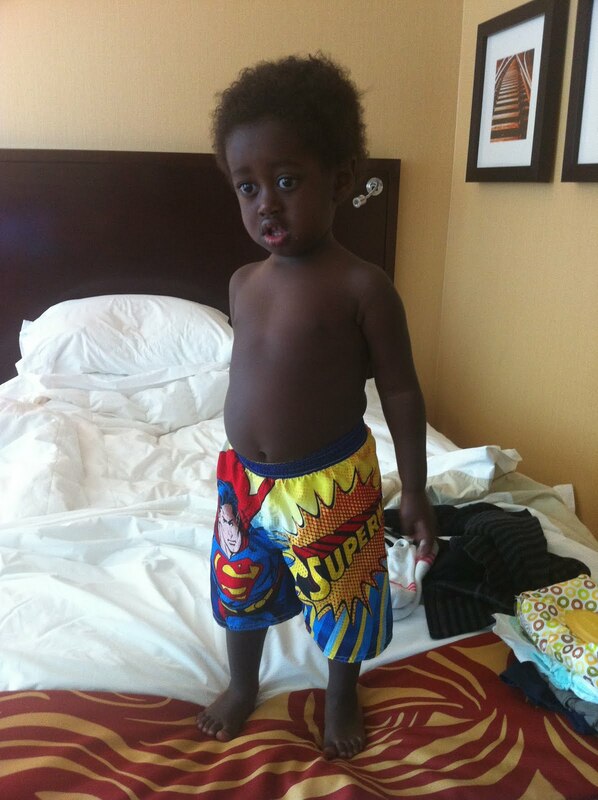 He was 25 months and 18 pounds. He entered the orphanage only a couple weeks after his second birthday. Even now, emotion wells up thinking about his first 2 years of life that I will never know anything about. Just 1 year ago, he turned 2 years old and only God knows what his life was truly like. Speechless. "We have 13 pictures of him, including a picture of him with his birth mom. He has enormous, almond shaped eyes. Luscious full lips. His 2 front teeth remind me of Chiclets. He looks peaceful, shy, and sweet. There are a couple pictures where he has shoes on his feet and he looks a little off-kilter wearing shoes for the first time in his life. His skin is like coffee with creamer! Soooooo cute! He'll be a heart-breaker. We ooooh-ed and ahhh-ed forever looking at his pictures for the first time." This was one of the first pictures we saw of him. He had 8 teeth at 2 years old. He was teeny but generally healthy. Immediately I was drawn to the depth in his eyes and the smirk on his face. It was a sign of all to come. In November we met Judah and instantly fell in love. One of my first comments was, "Judah is super observant, absorbing everything around him. Sounds like his daddy..."
We brought home our 2 1/2 year old son on January 15, 2011. We struggled a lot those first few months - intense grieving and loss, frequent tantrums mixed with "terrible 2's", communication struggles, food transitions, sleep fear, a strong will, and more. But we loved him so much. He was ours and he was a gift. He's remarkably smart. Everyone comments on it. One day last week he just started counting, "one, two, three, four, five, six, nine, seven, nine..." Best part of my day. My mom taught him the 4 primary colors one night at dinner. And he remembered the next day! He's crazy eager to learn and repeat and ask "what's this?" Teeth and Hair :: he came to us with 8 teeth and he's only missing 1 or 2 teeth today. In fact, as a birthday present, he gets to see the dentist today. Ha! His hair has filled in, too. It's soft and curly and there's LOTS of it. Weight :: though he's still a peanut [technically weighing a few less ounces than his baby sister], he's put on at least 1 pound per month in the past 11 months. He's little but he can hold his own. He's mostly wearing 2T clothes...phew. Personality :: he is a goofball, strong-willed, an entertainer, an excellent helper, generally sweet to Addise, opinionated, wants everything to be a game, willing to be corrected and helped. We've seen his personality bloom the more he feels bonded to us and safe. This may be my favorite post about the emerging character and heart of our son. Sleep :: what used to take us 30+ painstaking minutes to put him to sleep, is now only a few minutes of snuggling and prayers. After 4+ months in our bedroom, he now sleeps in his room and most nights kisses us goodnight then confidently says "bye-bye, night-night" while waving us out of the room. Miraculous. Affectionate :: he is a kisser and a hugger. When he's disciplined or hurt, he wants to be close. He seeks reconciliation and connection, even after he's corrected. When we get hurt, he wants to kiss the "owie". One morning this week when I left for work I kissed him goodbye, told him I loved him, and he [unprompted] replied, "Love you, mommy. Bye bye." Judah's growth and progress is maybe THE most rewarding thing in our lives. It's astounding us how much he's changed in the 6 months that he's been home, loved, in a family. us to our limits and challenges our authority and makes me crazy, but he's becoming more of who he was created to be. Grieving is mostly behind him and JOY is ahead of him. He brings us so much joy. We laugh at his antics, marvel at his growth, and simply enjoy him immensely. So what are we doing to celebrate his birthday? Stay tuned. This post was solely to celebrate his life. Judah, we love you beyond words. 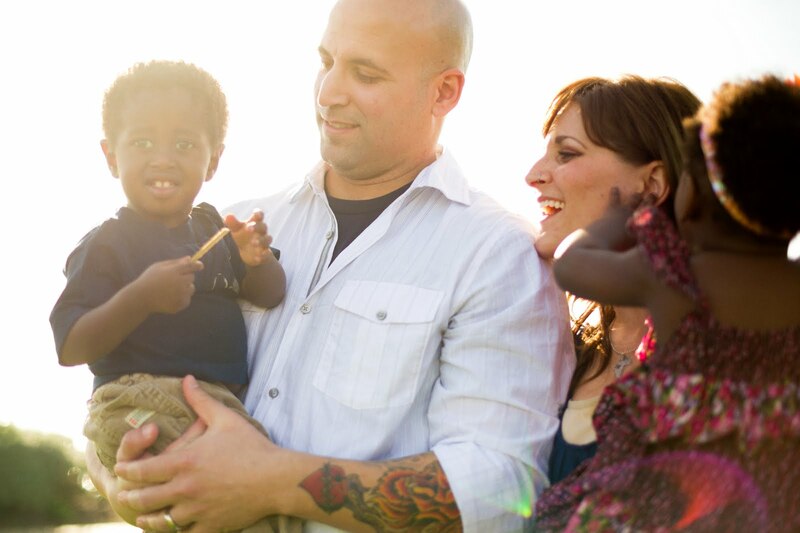 You are our son and we are wildly grateful that God chose YOU out of all the little boys in the world to be our son. God knew we needed you. Happy Birthday, buddy!